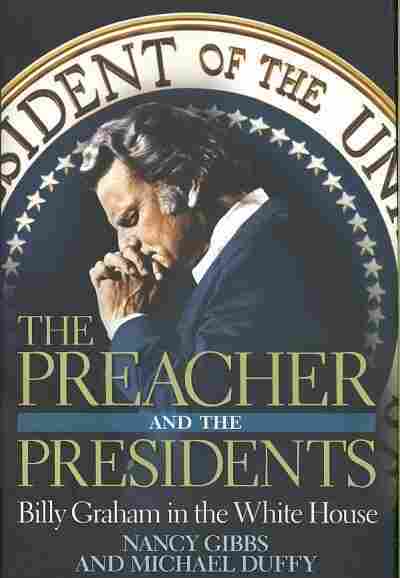 From Pulpit to Politics, a World-Famous Evangelist Nearly a dozen U.S. presidents, from Eisenhower to Bush, have sought the spiritual counsel and political advice of evangelist Billy Graham. 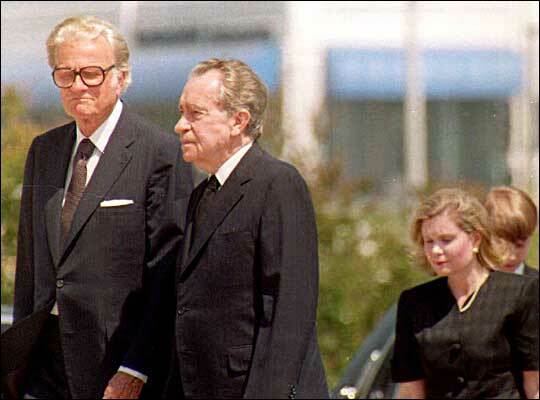 Graham accompanies former President Richard Nixon to the Richard Nixon Library where former First Lady Pat Nixon was to lie in state before her funeral services. Nixon and Graham were close friends for 40 years. Billy Graham is the nation's evangelical father, known for his theatrical preaching and his decades as both a political and spiritual adviser to many presidential administrations – from Dwight D. Eisenhower to the Bush family. "He really found politics a little seductive, and he talks about it that way. He sometimes wondered whether the devil wasn't at work because he felt really pulled," Michael Duffy, co-author of The Preacher and the Presidents tells Michelle Norris. Graham was thrown into the political world at a young age, and over more than half a century, he forged bonds with nearly a dozen presidents. 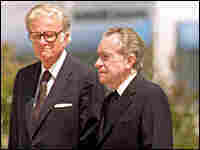 He counseled Lyndon Johnson on Vietnam, became close friends with Richard Nixon and provided support and advice to Hillary Clinton after the Monica Lewinsky affair surfaced. Duffy spoke with Michele Norris about Graham's role in the public and private lives of many U.S. presidents.